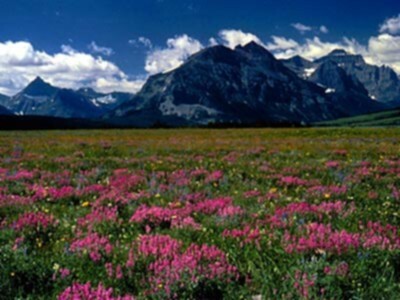 Der Glacier National Park  ist ein Nationalpark in Montana. Glacier's western valleys generally receive the most rainfall. Daytime temperatures can exceed 90 degrees F. It is frequently 10 to 15 degrees cooler at higher elevations. Strong winds and sunny days predominate on the east side of the park. Overnight lows throughout the park can drop to near 20 degrees F, and snow can fall anytime. In August of 1992, a foot of snow fell on the northeastern corner of Glacier. Prepare for a variety of conditions and pack accordingly. You may start the day in a T-shirt and shorts, and need a parka by evening. Dress in layers. Always bring rain gear. Glacier Park International Airport (IATA:GPI, ICAO:KGPI), . Kalispell ist eine kleine Stadt, die liegt südwestlich von der Haupteingang zur Glacier National Park. Diese Seite wurde zuletzt am 30. September 2015 um 16:43 Uhr bearbeitet.